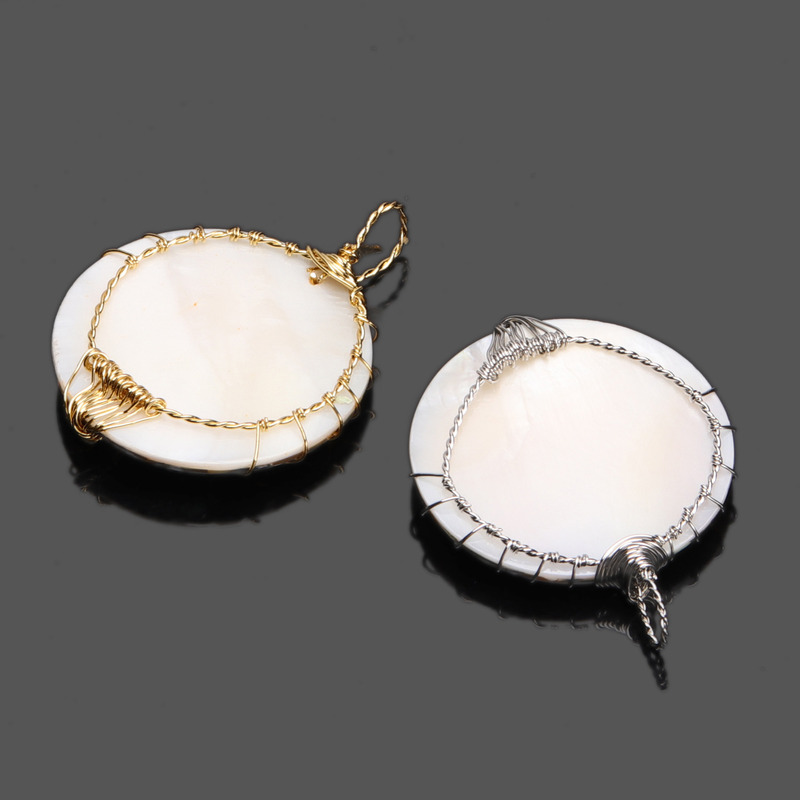 The wire wrapped pendant(S1901-S1907) is only one for each style. If it is sold out, it takes about 10 days to recreate. 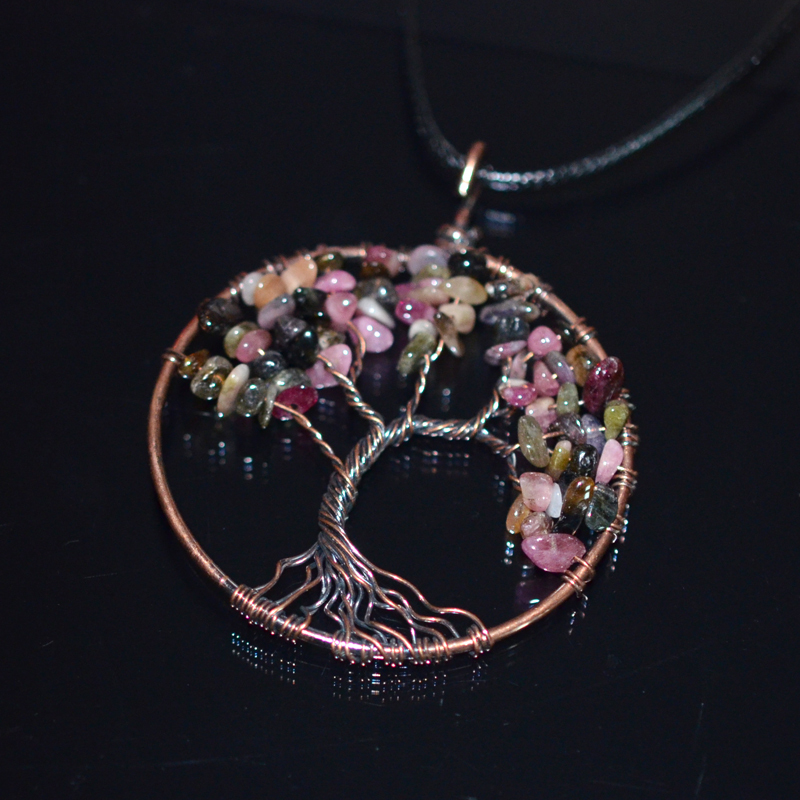 This tree of life necklace pendant was hand wrapped in pure copper wire. To accentuate and accent the wrapped wire the copper pendant was oxidized/antiqued. The labradorite piece is about 40mm long and about 30mm at its widest point. Can be worn on either side. The Meaning of Amethyst: It is the stone of St. Valentine and faithful love, and signifies ecclesiastical dignity as the Bishops Stone. Stone will be unique and may vary slightly in colors&size since they are natural. Healing Crystals – Amethyst is believed to help people feel calm, balance, patience, and peace. This oval-shaped tree of life necklace pendant with loops bale was constructed with sterling silver wire. Set behind the tree of life is a shimmery, blue labradorite gemstone that dances and flashes in the light. 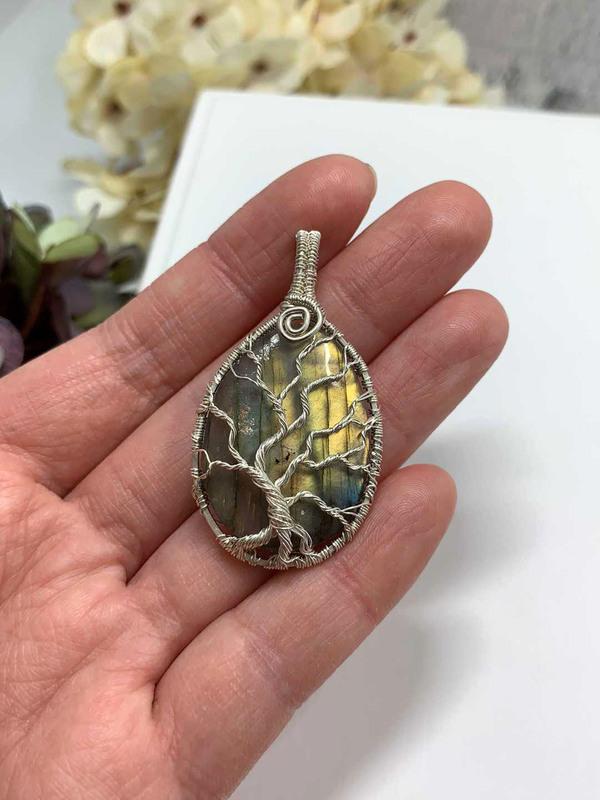 You will receive the exact, unique, one of a kind, handmade, wire wrapped tree of life pendant shown in the photos. Actual colors may vary slightly. This is due to the fact that every device (phone, tablet, PC monitor) has a different capability to display colors and that everyone sees these colors differently. I try to edit the photos to show the jewelry as life-like as possible, but please understand the actual color may vary slightly from your device’s display. Labradorite is a mineral of the plagioclase feldspar group, found in many igneous rocks. This crystal is a stone of magic, awakening within you mystical and magical abilities, and psychic powers. 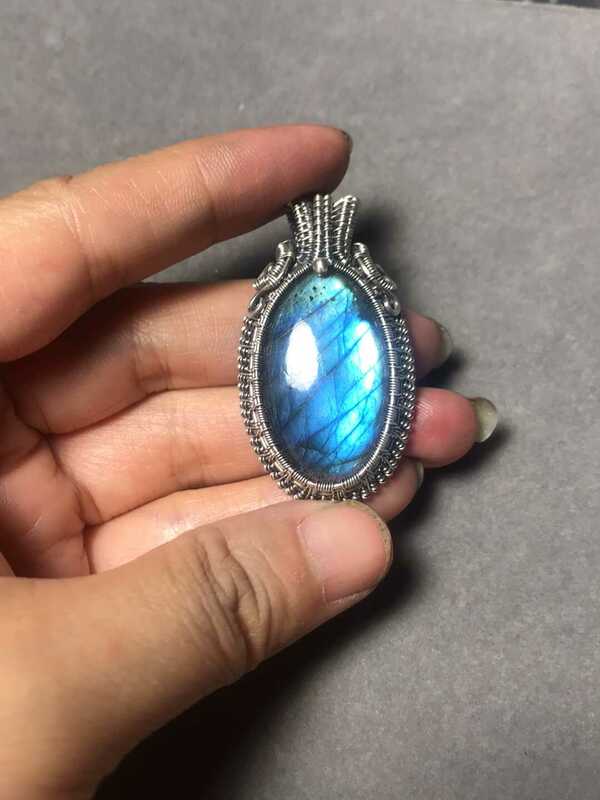 Labradorite has a number of metaphysical properties, including protecting your aura and to clear negativity from it, and it seals it to prevent any energy leaks. Within the throat chakra, it stimulates stronger psychic communication abilities. I love crystals, and my top two are definitely Labradorite and Opal (NOT Opalite). The flashes of colors are gorgeous. Your wrapping is so clean, very well done. 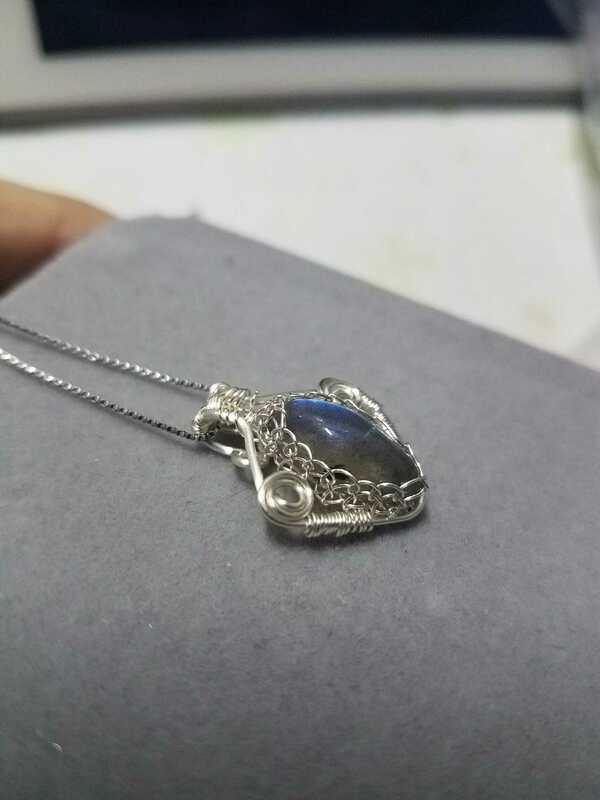 And that labradorite is stunning! I have some I want to try using but they are nothing compared to that piece.